It has the ability to be carried into an existing building set up without removing doors and windows. When assembled it has the volume of a large pup tent. At 45" wide and 84" long and 12" deep, the Float-ES has the largest surface area on the market. 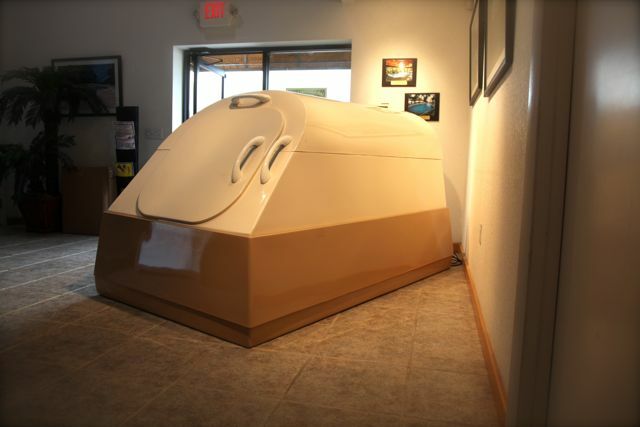 San Juan was approached by a company seeking to buy tanks for its “float center” — a business in which clients purchase time in the tanks. After studying the products and discussing the potential customer’s preferences, San Juan decided to try manufacturing them by incorporating certain elements of pool circulation systems. “We took the point of view that this is just a small pool,” Sullivan said. To combat the corrosive effects of Epsom salts, which are used in the water to increase buoyancy, the circulation-system elements are made of plastic or titanium. Though the $25,000 units are built for use in the approximately 1,000 commercial centers throughout the United States, Sullivan said his company has been approached by some residential customers.